There are 10 other images of this object. This object has no known copyright, and as such we offer a high-resolution image of it. See our image rights statement. See more objects with the color lightgrey slategrey dimgrey lightslategrey or see all the colors for this object. This is a Fragments. It is dated 18th century and we acquired it in 1955. 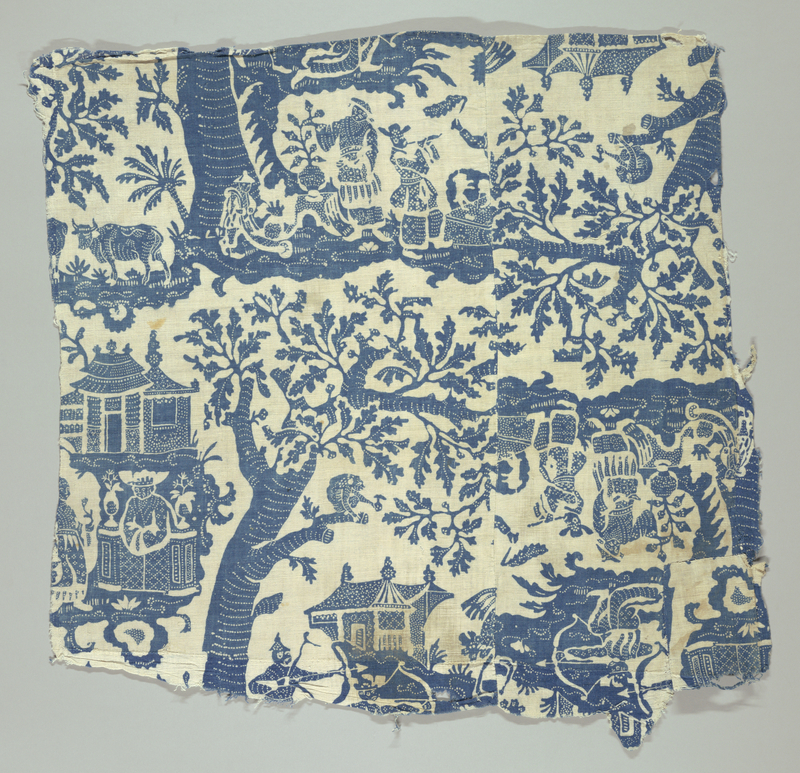 Its medium is cotton and its technique is resist-printed on plain weave. It is a part of the Textiles department. This object was fund: Au Panier Fleuri Fund and catalogued by Alice Baldwin Beer. It is credited Museum purchase from Au Panier Fleuri Fund.